Thank heavens for creating the wonderful energy potion we call coffee. If you’re anything like you, you basically run on coffee. 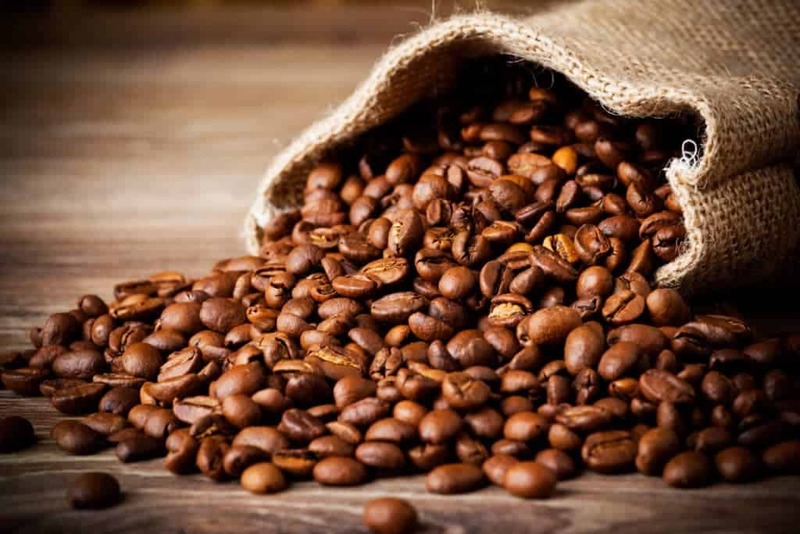 Given the importance of caffeine, it is also highly important that the beans we use are of the best quality. 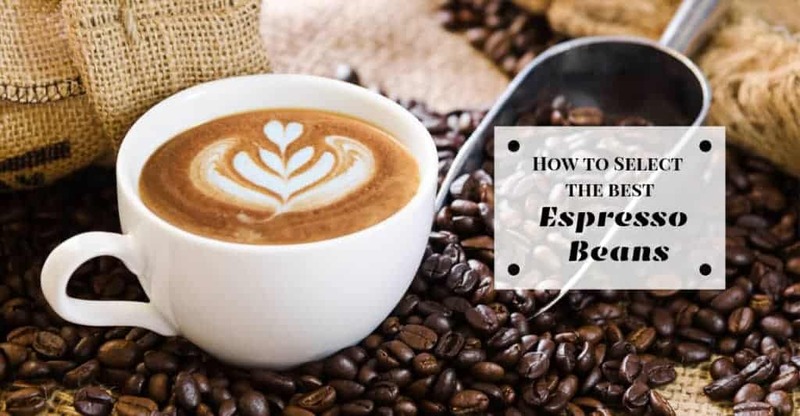 In this article, I’ve rounded off the best espresso beans as well as essential information you must keep in mind. What is an espresso shot? How much caffeine in a shot of espresso? How to make espresso at home? How to make espresso with a french press? First things first, let’s identify what espresso is. 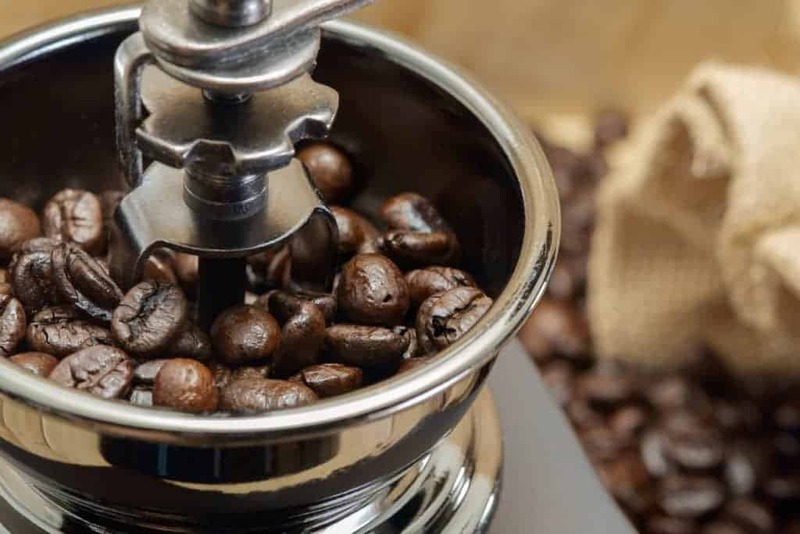 It is a coffee of Italian origin that is brewed by forcing a little amount of nearly boiling and pressurized water through ground coffee beans. So what about espresso powder? 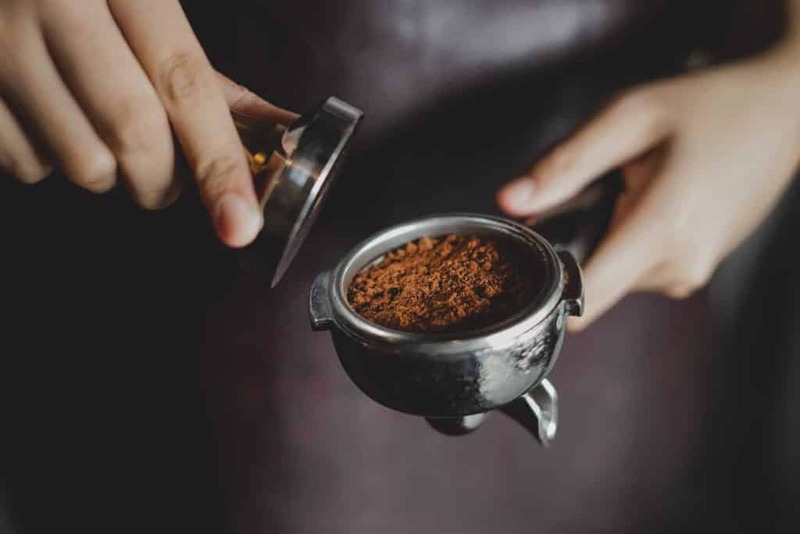 If you’ve ever heard of instant coffee, then that’s basically what espresso powder is. It is also concentrated and finely ground. More than just beans, they are actually coffee crystals Additionally, it dissolves quickly in drinking. For some, they use it for baking purposes instead of for drinking. The robustly flavored espresso is typically served in shots. So you often drink espresso in shots much like what you would do with a hard liquor drink. The espresso shots are also the common base for numerous drinks such as cappuccino. To identify how much caffeine there is in a shot of espresso, we must first have to identify how much espresso there is in one shot. Typically, one shot has one fluid ounce of espresso. And one shot of espresso 63 mg of caffeine. 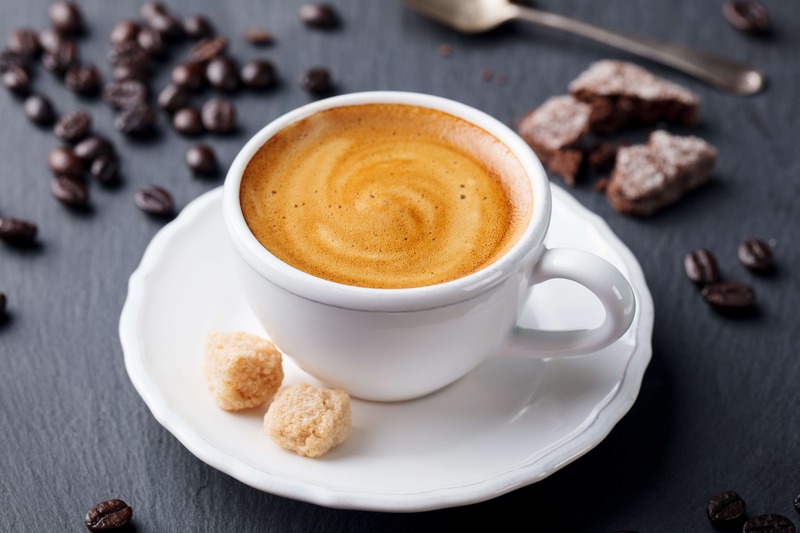 And for those classic espresso drinkers, you might have been confused about this new trend called blonde espresso that’s been emerging since around 2017. Simply put, it’s this new item on Starbucks’ menu. The blonde espresso is basically a lighter version of its original version. It has hints of sweeter notes and may even contain small amounts of orange or lemon. Leading an organic lifestyle but having trouble finding a coffee that is also eco-friendly? Enter the Italian Espresso by Dean’s Beans. They are an organic company that maintains meaningful relationships with the farmers that they are partners with. This means that their coffee beans are straight from the farms which the company also help funds. 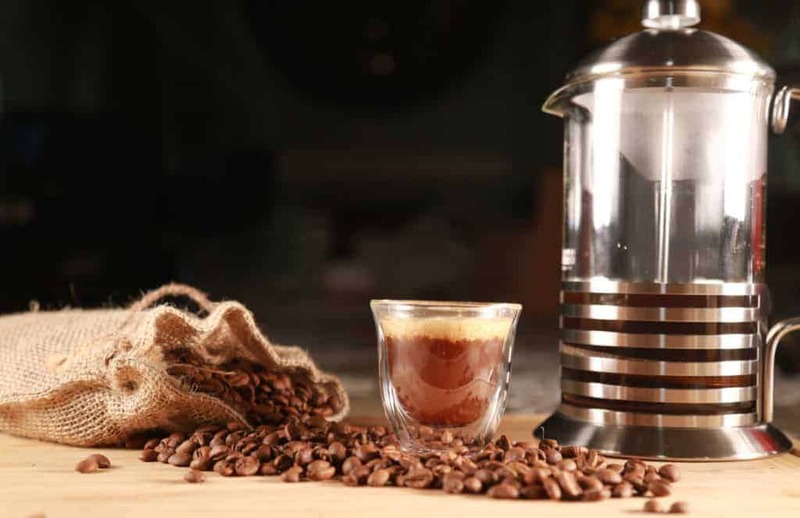 Coffee aficionados would find that their Espresso is a dark roast with a rich and robust flavor. It also comes with that scent of a toasted nut. Surely, a perfect companion to start your mornings with. ​If you’re looking for a lighter version of the strong-bodied classic Italian espresso, then this blonde espresso by Wink Coffee might just be right up your alley. This coffee roast is composed of sweet but subtle notes that are blended with hints of orange and brown sugar. With that complex combination, you are offered a unique citrus espresso flavor. Much like the previous espresso, this one is also sustainably grown. They are made in Colombian Andes. ​Third on this list is the Espresso by Verena Street which is a personal favorite of mine. Much like a classic Italian Espresso roast, this coffee has a strong and solid body. However, it also comes with a velvety and creamy complexity. It is of course a full roast but still smooth. This complexity of velvety texture gives you an amazing aftertaste. In addition to all these, Verena Street also makes sure that their beans are sustainably grown in healthy farms. In fact, they are privately and family owned. This small setting ensured that every single product is taken care of. ​Next on the list is another organically grown espresso that offers another unique blend. If you’re looking for something a little less strong and lighter, then this might be the perfect caffeine fix for you. It has a light roast profile and comes with notes of soft red fruits as well as hints of dark chocolate. This coffee is also known to highly improve steamed milk. The combo of chocolate red fruits sure bring you a complex but unique espresso experience. ​If you've been craving for Espresso of the Northern Italy style then Mystic Monk’s Dark Roast might just be your poison. Much like the good ol’ classic Espresso, this Dark Roast is strong bodied. However, what I like most about this is that it comes with multiple layers of fruits. It has a creamy complexity added with tones of caramel as well as hints of malt. They sure do make for a rich aftertaste. Make your espresso shot. First things first is you have to create your shot. I’ll be explaining this further in the next question but to simplify things, you need a good espresso cup. There are cups you can purchase in stores that are made exactly for espresso. You might also need a good espresso machine. However, you have the option to make espresso without a machine but it’s going to be more tiresome so I highly suggest you invest in a good espresso machine. Get some sparkling water and take a sip. For the most part, this is absolutely optional. However, I highly recommend you don’t skip this part. You ever noticed how baristas seem to always serve espressos with a glass of sparkling water. This is because much like when you do wine tasting, you need palate cleansers such as sparkling water. After all, espresso is full-bodied and you need a clean palate to fully appreciate its strong flavors. Give it a little stir. Typically, the thicker parts sink down to the bottom. For this reason, stir your cup so that the thinner parts above will blend with the thicker ones. Add whatever suits your taste. If you like espresso with milk or sugar, this step is the perfect time for you to add in these condiments. This depends on your taste. If you’re the type to drink straight up from the cup, then you may easily proceed to the next step. Take a sip and preferably with a nibble. Coffee, in my opinion, is always best served with something to munch on. It can be something as simple as cookies or you can have a box of donuts. Espresso machine. This tool takes away the hassle out of coffee brewing. It comes with elements like a portafilter that makes brewing easier. Water. Obviously, the base of almost any beverage. Be sure to have clean water ready. Coffee beans. Picking your beans is crucial to a good espresso so be sure to refer to the latter part of the article for points to consider. Mortar and pestle / grinder. You’ll be doing some crushing so make sure have either a mortar and pestle if you wanna do it manually or a grinder. Select your coffee beans. In all honesty, half of getting the right espresso shot stems from choosing the right espresso beans. If you still have not decided on what you want, you may refer to the question in the latter part of this article. Grind away. Now that you have your beans, the next step for you is to grind your beans into fine ground ones. For this step, you have two options. You may use a blender which is what I recommend because it just involves you tossing the beans into the blender then just plug away. If not, you may use a mortar and pestle which you can use to manually grind your coffee beans. This takes time and you should only consider this as a last resort. Fill your reservoir and tamper. This step is where you need your espresso After you get the two things above ready, all that’s left for you is to fill the reservoir with water. Since water has to be pressurized for extraction, you need to keep the water near boiling point. That’ll be around 90 C or 200 F. Next is you fill the tamper with the ground beans. You’ll need about 7 grams of the beans for one espresso shot. Brew the coffee. After you’ve filled the two, you may now brew your coffee with just one click on the machine. French press. This one is another form of a coffee brewing device that makes brewing so much easier, just like an espresso machine. Grind your coffee beans. After you’ve chosen your coffee beans, you have to grind them into coarse particles. Keep in mind they have to just be coarse instead of the usual fine ground ones. Prepare your water. As stated, pressurized water is the key to making espresso. That said, you need water that is at a nearly boiling point temperature. Afterwards, just let it be for about 20 seconds. Add the coffee beans onto the press. Remember the beans you ground a while ago? Now’s the time to put them in the press. Afterwards, pour the water onto the beans. Stir the beans gently. As you do this step, you also pour the remaining water all over the beans. Let the coffee steep. Reminder not to press the plunger while your coffee is steeping as this is a crucial step. Do this for exactly 4 minutes. Press the plunger. Now for the last step, all you have to do is to plunge towards the bottom. Just make sure to do it gently, as well. Selecting your coffee beans is crucial. There are so many coffee blends you can choose from but the one factor that has to be consistent is the freshness. Coffee beans of the highest quality show their roasting dates so make sure that the roasting date is early. Then make sure you consume the beans quickly. Word of advice to keep it fresh is to keep it in a sealed container to keep the quality high. The key to grinding coffee is to grind the right amount of coffee beans. To be able to ensure the accuracy of the measurement, it’s best to use a scale. For one shot of espresso, it basically translates to an ounce. That is equivalent to 7 grams of beans. If you want double shot, you need two ounces and that is equal to around 14 grams. To grind your beans, I highly suggest you use a blender instead of doing it manually with a mortar and pestle. If you want to add milk, you may use the steam wand that comes with the espresso machine. What this does is that it forces steam into the milk. This pressurizes your milk. Having said that, the steam also adds air to your milk and that’s why it foams. All you have to do is to pour milk onto a container or pitcher. Then proceed by inserting the steam want into the milk, just below the surface. Move the pitcher around as you do this and once the amount increases, you may now remove the wand. Tamping is all about making sure that your coffee is subjected to the right amount of pressure. 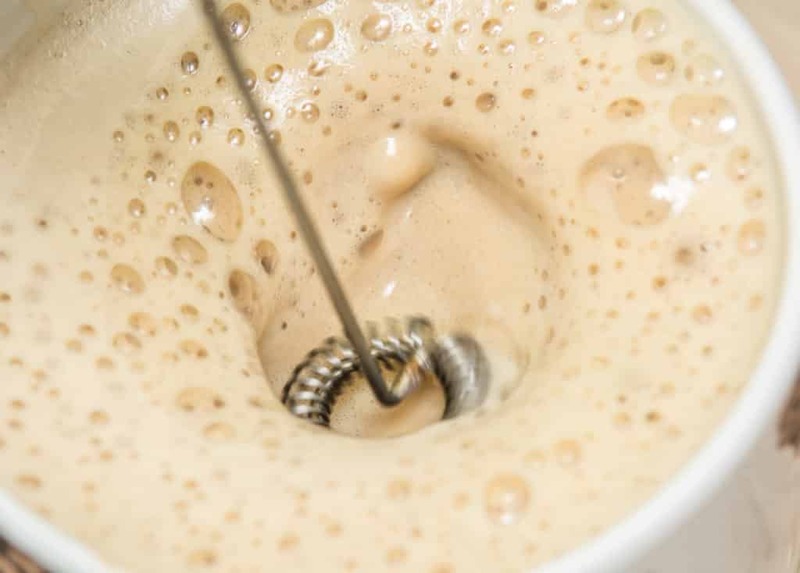 It is essential because during the extraction process, water is inclined to go to where there is least resistance. To have a successful extraction, the beans must be tamped evenly. First, you must evenly distribute the grounds inside the portafilter. This is highly important so that the water will permeate them evenly. After you have spreaded it out evenly, hold the espresso tamper with the your other hand that is not holding the filter. Press down with 5 amounts of pressure.